On Saturday, Save the Sound hosted a celebration and volunteer event at the site of the former Pond Lily Dam on the West River. 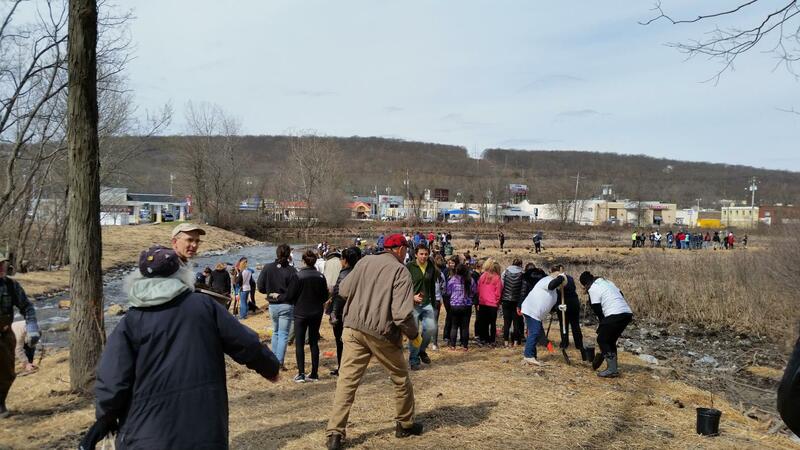 Over 70 volunteers joined forces to plant native vegetation along the river where the dam once blocked water flow and fish passage. Attending were Sen. Richard Blumenthal, Cong. Rosa De Lauro, Rep. Pat Dillon, US Fish and Wildlife, CT DEEP, New Haven Land Trust, and additional Save the Sound project partners. “This community-wide effort is another step to the return of fish spawning and a healthy West River,” Dillon said.